Pat believes that healing occurs through supportive and nurturing relationships. 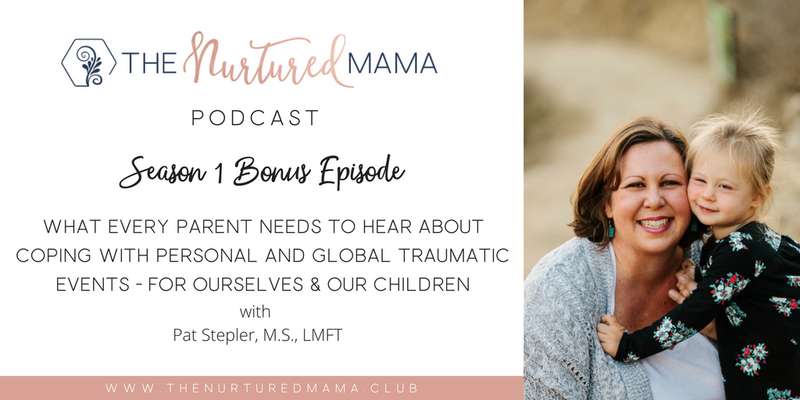 She has counseled children, families, and adolescents in crisis for over 15 years and currently has a private practice in Ventura, CA where she treats children, adolescents, women, and families. Pat specializes in the areas of parenting and family issues, child and adolescent development, and women’s issues. She has clinical expertise in the areas of anxiety, depression, trauma, and mood disorders. Pat holds a Bachelor of Arts in Social Work with a minor in Substance Abuse Studies from Texas Tech University, and a Master of Science in Counseling Psychology from California Lutheran University. She remains in love with her high school sweetheart, and together they have been foster parents to two children and birth parents to their 3 year old daughter. She enjoys motherhood, hiking, walking the beach, advocating for the foster community, and serving her local church family. Still dealing with the impact of the Thomas Fire in Ventura, California, Pat shares about the common struggles of the disaster victims. 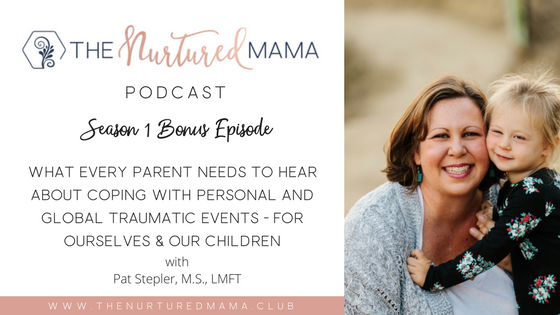 She explains the need of families and individuals to process what has happened, ways to discuss it with their children, and how are they going to cope so they can move forward. As a therapist, Pat is regularly involved in community efforts to support those impacted by tragedies and natural disasters. 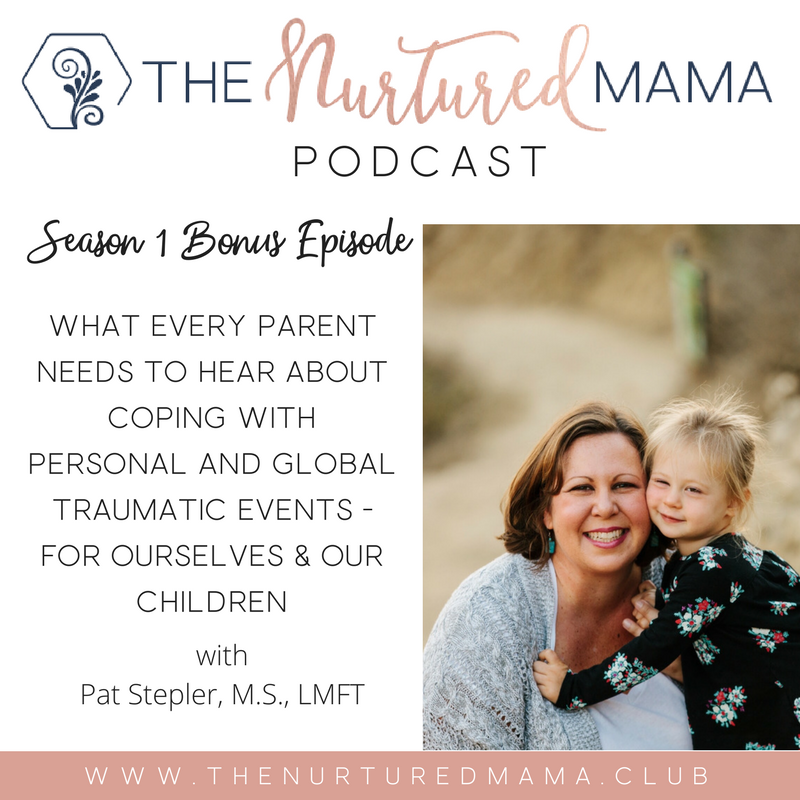 When asked by Lindsay about her thoughts and experiences about stress management in relation to parenting, Pat highlights the importance for parents to know themselves – what they need and the role that self-care plays in stress management and coping. 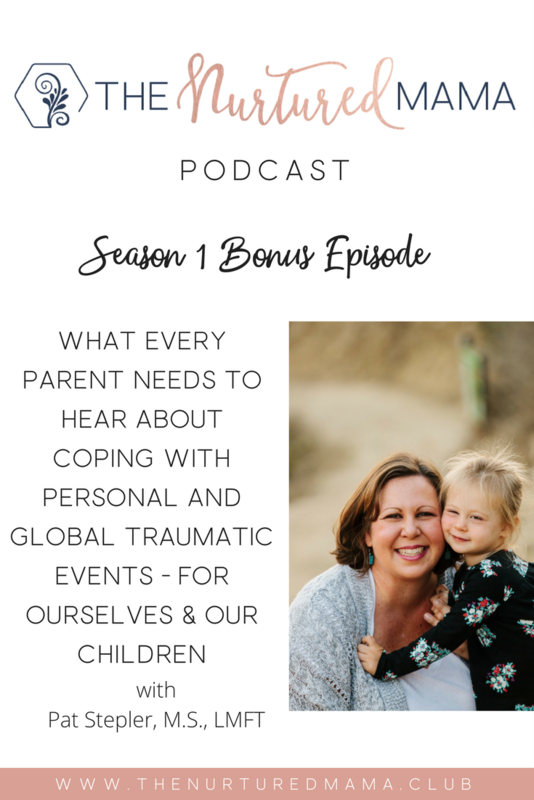 In this episode, she also elaborately explained how stress can manifest in four different ways: behaviorally, emotionally, physically, and cognitively (thinking). Pat believes that self-awareness and a clear self-care plan is a vital component in coping up with stress. If there’s a big disaster, group therapy is very effective– people want is a sense of community, they want a safe place to talk and share their experience, and people wanted to be around with other people that had experienced it. Pat is currently taking new clients in her private practice in Ventura. You can contact her via email at pat.steplermft@gmail.com or (805) 765-2873 to schedule an appointment.